Folegandros is a small, charming and sunny Aegean island. The natural beauties and the warm hospitality of its residents, have turned the island into a popular travel destination. It is the perfect place for those wanting to relax. 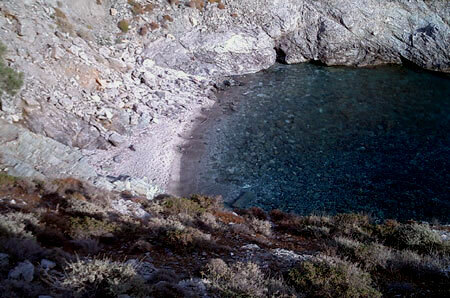 The island of Folegandros belongs to the southwest Cyclades. 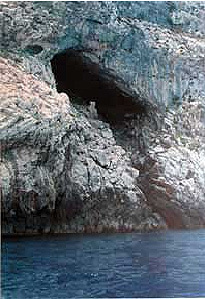 It is located between Milos and Sikinos islands. It has an area of 32 sq. km and a length of shores that reaches up to 40 km. Folegandros is 104 nautical iles from the port of Piraeus. 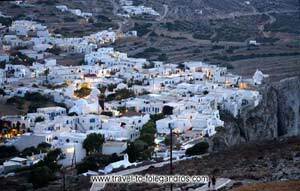 Folegandros is an island with many mountainous areas and a rocky ground. The island impresses all visitors with the alterations of scenery. The wild mountainous bulks, the lacy shores, the green fields and the traditional settlements, create a magical scenery. A tour around the island will stay forever in your mind, while you' ll have the chance to take some amazing photos. Upon your arrival at the port of Karavostasis, the island will start to unfold its hidden beauties right in front of your eyes. 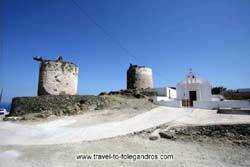 The Chora of Folegandros with the famous Venetian castle is built at a 200 m altitude. It is probably the most picturesque cycladic settlement. Chora is comprised of two settlements, the Medieval, inside the Venetian castle and the modern one, outside the castle walls. Make a walk around the cobblestone paths of Chora and let it enchant you. Aggali is a small coastal settlement you must visit. The homonym beach is one of the most beautiful in the island. While being in the island don't miss visiting the settlement of Ano Mera with the green fields. Try, traditional, homemade dishes in Chora, Karavostasis, Aggali and Ano Mera. At night, entertain in the taverns all around Chora with rakomelo (raki and honey shots). Everything in Folegandros seem like they have come out of a fairy tale. Visit the island and have the best holidays ever.